Perry Como sings the famous tune of the season, “Oh, there’s no place like home for the holidays…” It’s a truth that many of us feel as we make plans and book flights to head “home” and visit family during the holiday season. Home can conjure up some powerful memories. Memories of family, holidays, laughter, and tears. 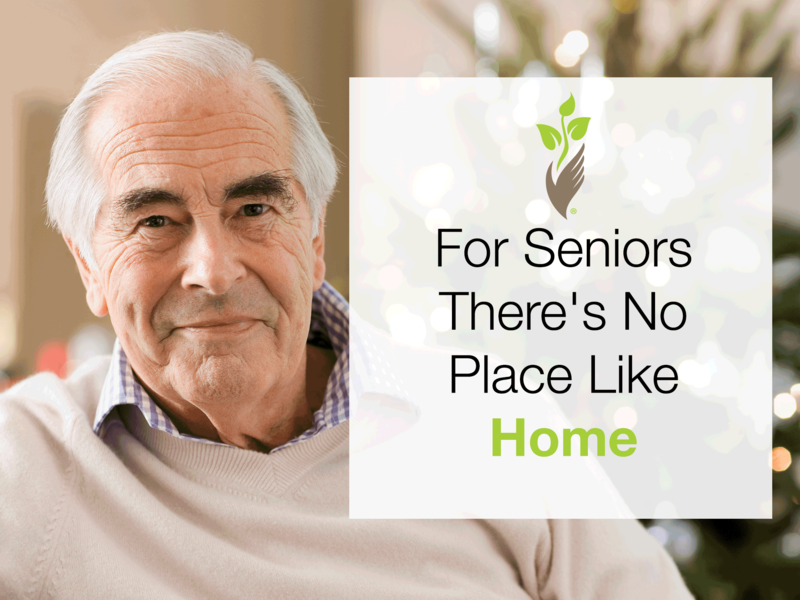 For seniors, a home holds special meaning. It’s more than just a physical house, it’s a symbol of independence. As we age, our independence becomes more important as our fear of losing it increases. A senior’s home is a tangible representation of that independence and leaving it can be a devastating event. Yet, staying in that beloved home may require changes. One such change may be the addition of senior home care services. Home care is an alternative to facility care and can provide the necessary support for seniors to remain safe in the homes they love. The right care in place can actually enhance the independence of seniors, not take it away. Activities that may have become difficult to participate in on his or her own can now be enjoyed again. Seniors can benefit from the companionship of experienced caregivers, attend social gatherings with incidental transportation, and feel safe in their home knowing they are not alone. From one to 24 hours of care, services can be customized to fit your loved ones or your needs. It’s the care you need, when you need it, so you can remain your independence in the home that holds your most precious memories.